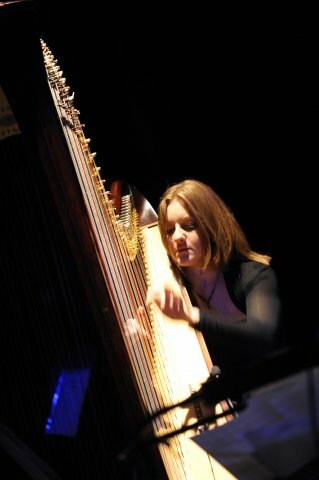 I am a professional harpist and harp teacher based in Manchester. I perform across the region and I am a dedicated and passionate harp teacher. I teach at Manchester High School for Girls, Manchester Grammar School, The Grammar School at Leeds and The Early Music Shop. All ages and levels! Playing the harp should be fun and rewarding and my lessons take into account each pupil's individual needs. I'm friendly and encouraging, with a passion for music and the harp.